Tea strainer Great for brewing kombucha tea or JUN culture. 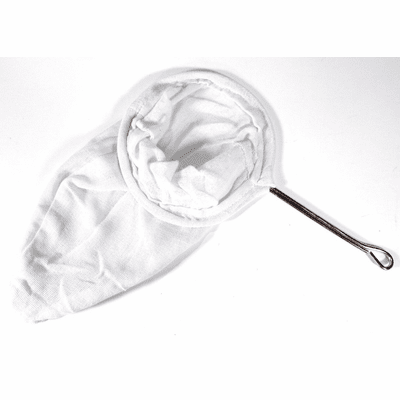 This Muslin strainer is a traditional strainer used in making Thai Tea or Thai Coffee. After mixing tea leaves or coffee mix in hot water, just pour the liquid mix in this strainer. Twist the pouch and squeeze to drain the liquid tea/coffee as much as you can. Discard remainders, washer the strainer, and let it dry. You can make the brewed tea for JUN or kombucha in large quantities with this strainer. You can use it over and over again!!!! Dimensions: 5" Across at the opening 10 1/" long from the top to the bottom of the strainer. Sets perfectly inside a standard gallon size container with wide mouth opening. 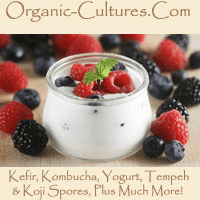 Works great for brewing kombucha tea, JUN culture, or even holding water kefir grains!